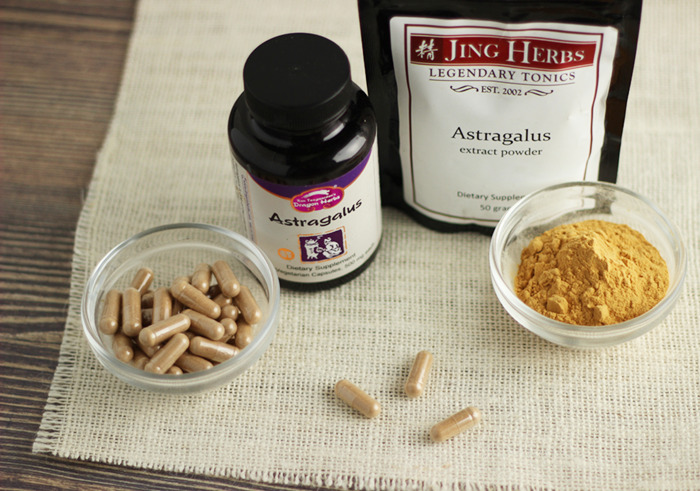 What are astragalus benefits? 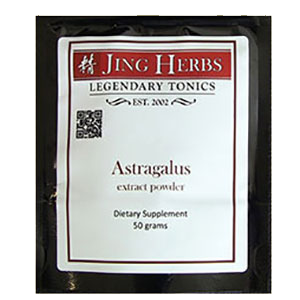 Largely popular in the Western world for its profound benefits to immune functions, astragalus is also recognized as one of the most potent Chi (Qi) tonic herbs available and has been utilized for centuries in Chinese herbalism for its protective, restorative and enlivening influence. What is a Chi tonic herb? 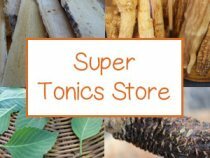 Essentially, Chi tonics are natural “energy builders” and astragalus is top on the list of "major tonic herbs" for such purposes. Frequently used as a decocted tea, tincture as well as a powdered or encapsulated extract, the roots need to be hot water or alcohol processed to release their valued properties. It is one of our personal top superfood favorites to simmer in soup broths and when cooking grains or beans, two traditional ways to utilize the dried slices. Astragalus membranaceus, or also referred to as Astragalus propinquus, is a type of milkvetch that grows up to 6 feet in height, with alternating leaves and small yellow-white flowers. The part used is not actually an "herb", however, but the woody root of the Astragalus membranaceus species, a genus which includes over 4,000 different plants in the Fabaceae legume family. It is indigenous to Northern China and Mongolia but many species can be found growing in Europe as well as the Western U.S. and Canada. The actual Chinese Astragalus membranaceus variety is very adaptable to different growing conditions and was first introduced to the U.S. in 1925. While there are hundreds of different astragalus species, only two have been proven to be therapeutically effective as an herbal substance. The roots are traditionally harvested when the plant is between 4-5 years old and sliced when fresh into thin strips. Astragalus is one of the superfood varieties we recommend growing in your own garden or permaculture landscape. It works as a nitrogen fixer. Although it will take at least 4 years before you can actually harvest the roots, it is fairly easy to grow in deep, sandy, well-drained soil with a good amount of sun exposure. 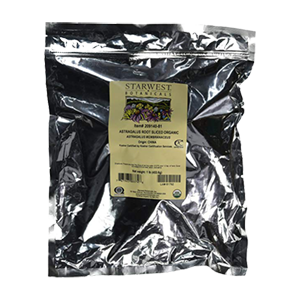 Many rare plants and tonic herbs can be purchased online from Strictly Medicinals, either as seeds or as plant starts. The seeds, from our personal experience, can be harder to propagate though, so we recommend getting a potted variety that can be transplanted. Have low energy, stress-related fatigue or burnout from too much caffeine consumption? Astragalus might be a good herbal ally to add to your morning and/or mid-day routine as an extract, tea or part of an individually tailored tonic formula. As a Chi tonic, also called an "energy tonic", it is often classified with other activating herbs, such as ginseng, for its energy restorative attributes. Increasing Chi is a quality that can likewise offer nourishment to primary Jing energy. 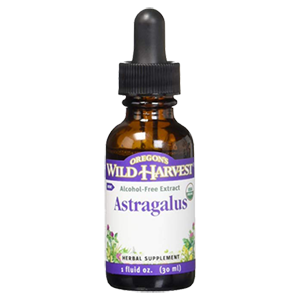 While regular use is recommended, astragalus is one of those herbs commonly known to provide immediate stimulation soon after intake. 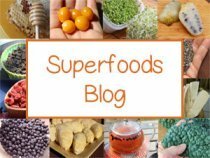 In our opinion, it is a particularly great dietary supplement for today's busy fast-paced lifestyle as it can provide the necessary support to help guard against the impacts of daily life stress and its repercussions on long-term health. Again, keep in mind that dietary supplementation with astragalus should not be considered a "quick fix" to temporarily stimulate low energy levels, but is best applied in a tonifying manner. 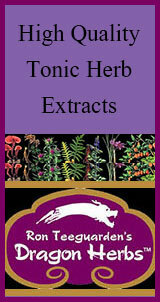 Like many of the tonic herbs and medicinal mushroom varieties, we consider it a deeply nourishing food-like substance. How Does Astragalus Work to Restore Energy Levels? 1) Tonifies the Spleen and Lung Organ-Meridian Systems - These are the two major systems directly responsible for transforming the oxygen we take in and the food we consume into life energy. Astragalus extracts and teas can therefore be naturally stimulating by offering support to respiratory functions as well as metabolism and digestion, working to raise Yang Chi of the spleen and stomach. 2) Strengthens Wei Qi - Generated by the Lungs and Spleen, Wei Qi circulates in the subcutaneous tissues under the skin and provides adaptive defense energy related to immune response. This quality of astragalus root is famed for its specific strengthening and invigorating influence to the exterior limbs, such as the arms and legs. Wei Qi is also thought to encourage "Upright Qi." which supports an upright posture and helps to prevent the prolapse of various organs and tissues that commonly occur with the aging process. 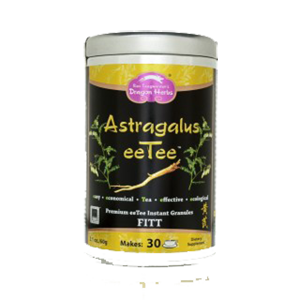 3) Fortifying to the Blood - Astragalus benefits help to nourish and build the blood. And, as the Chinese saying goes, "Wherever Chi flows, blood follows", the circulation of which provides an energizing impact. Astragalus and its strengthening influence on the exterior limbs, legs and arms, is considered a beneficial supplement for athletic training as well as strenuous physical workouts that require a higher energy output with an increased demand on the musculature in these regions. It can likewise be a useful herbal ally to incorporate when increasing general daily movement and/or exercise routines. In some research, supplementation was shown to improve exercise performance and also had an anti-fatigue effect. 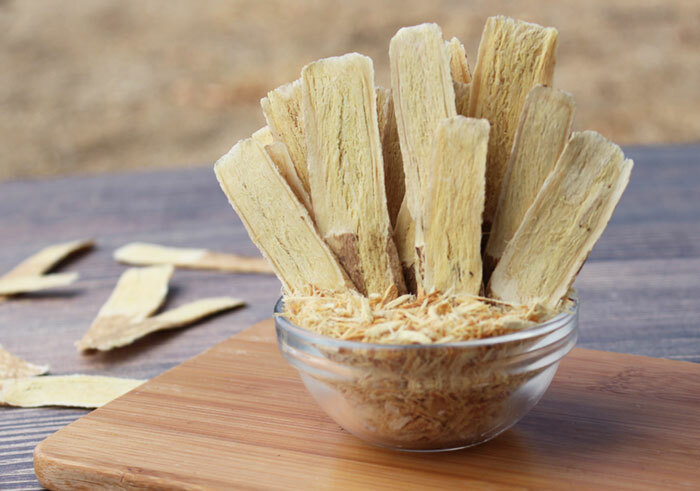 Astragalus root or extracts can be used with other superfoods or tonics, like cordyceps, ginseng, schizandra and ashwagandha, to increase stamina needed for heightened physical activities. 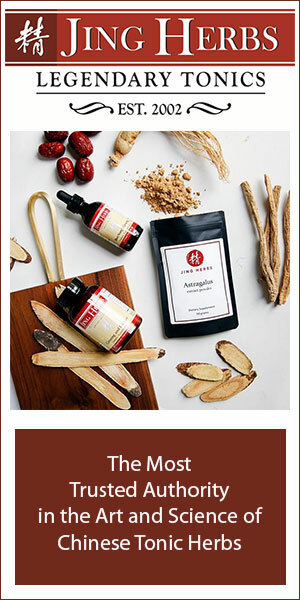 Astragalus has a famed reputation as an immune system enhancer due to its immunomodulating properties and constituents, like the triterpene saponins known as astragalosides. Astragaloside IV is one of the specific compounds studied for its effectiveness on immune regulation. Astragalus benefits essentially encourage immunomodulation, whereby the system self-regulates to adjust immune responses depending on one's individual need. This is one of its primary qualities as an adaptogen. Astragalus is different to other herbs such as echinacea, which is a medicinal variety used on a short-term basis for giving the innate immune system a boost. For example, at the onset of a cold or flu. In contrast, astragalus root most significantly works to build immune strength over a period of time, encouraging a long-term influence that essentially helps to prevent you from getting sick in the first place. 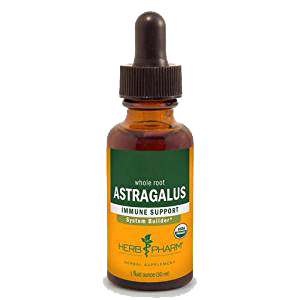 Dietary supplementation with astragalus is therefore not a "quick fix" to temporarily treat weakened immunity, but is best applied in a tonifying manner. 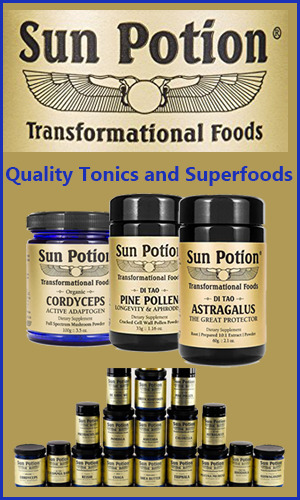 Like many of the tonic herbs and medicinal mushroom varieties, we consider it a deeply nourishing food-like substance. According to a study published in the Journal of Ethnopharmacology, the triterpene saponins or astragalosides, are again believed to be one of the primary mechanisms involved in the "immunomodulatory and anticancer effects of Astragalus species." Extracts of Astragalus membranaceus have been shown in research to affect both acquired immune responses, which can help to increase certain white blood cell activity, as well as affect innate immunity or the first line of defense. Adaptive or "acquired" immunity involves deeper immune functions and immune cells like lymphocytes such as T cells and B cells, produced by stem cells in the bone marrow. Astragalus, called Huang Qi, essentially benefits the immune functions in two main ways. First, it tonifies what we previously referred to as Wei Qi (also called Protective Qi). Again, this is the energy that is believed to run underneath the skins surface. It most closely correlates with the Western definition of the innate immune system or first line of defense. Wei Qi is identified for its ability to open and close the pores, regulate perspiration, speed up the healing of skin and circulate in the subcutaneous tissues. It helps to protect the body from outside sickness. Secondly, it supports building immune system strength via its qualities as an adaptogen as well as its nutritional value as a blood tonic. These elements work collectively to promote deeper immune functions located in the bone marrow reserve. Interestingly, it was recently discovered that one of the active ingredients in astragalus, astragaloside IV, contains a saponin called cycloastragenol which, when taken in concentrated doses, has been shown to activate the hTERT gene and increase the production of telomerase. This is an enzyme that preserves and lengthens telomeres, the components that make up our DNA strands. 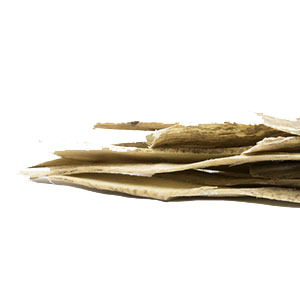 Dried astragalus root is available as small slices or long wood-like strips that look like flat tongue depressors. They are actually quite pleasant to chew on, because they are somewhat sweet and taste a little bit like vanilla. These slices are more convenient to add to soups, stews or cooked grains because they can be easily removed after the cooking process. High quality dried roots should be an off-white or yellowish color with some slight flexibility, not too dry and harvested after 4-5 years old. 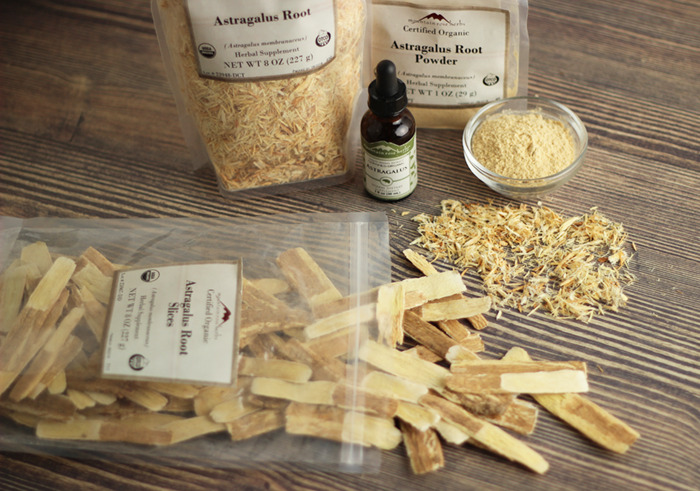 Bulk astragalus root needs to be decocted or simmered in water for at least 30 minutes or preferably about one hour. As with most Chinese tonics, the longer you brew them the more potent the strained liquid becomes. It is sometimes convenient to use a crock pot for extended cooking times. 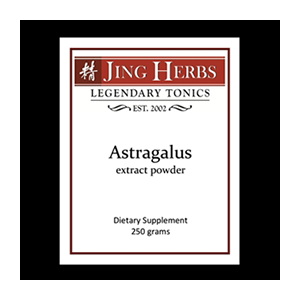 You can also purchase astragalus as a ground powder or as root pieces, this will significantly reduce the decoction time needed. 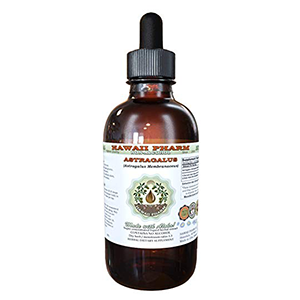 Concentrated tinctures of astragalus are available, offering a quick easy way to drop some into a beverage or herbal tea. These tinctures are either alcohol or glycerin based. Powdered or encapsulated hot water extracts are concentrated from liquid solutions that have been evaporated down into a fine powder. 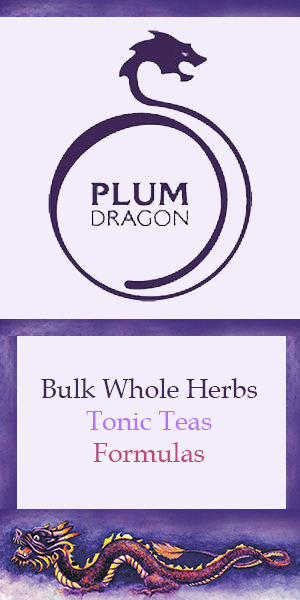 We like adding bulk powdered extracts to teas and beverages. 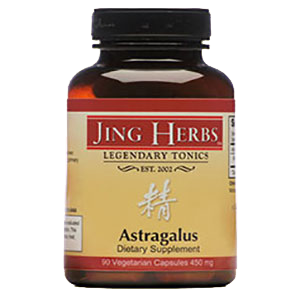 Astragalus is a common ingredient found in many Chinese herbal formulations, used with other tonics like reishi, fo-ti root, schizandra, eucommia and goji berry. 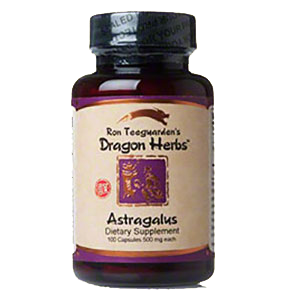 The company Dragon Herbs also has formulated a new extraction method that allows for astragalus benefits without the use of heat. 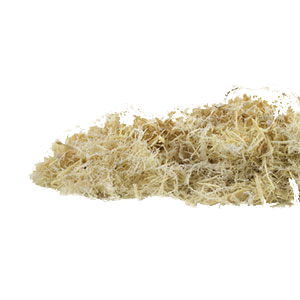 The root slices are firm and fibrous with a light-yellow color and in our opinion have a sweet, pleasant taste. 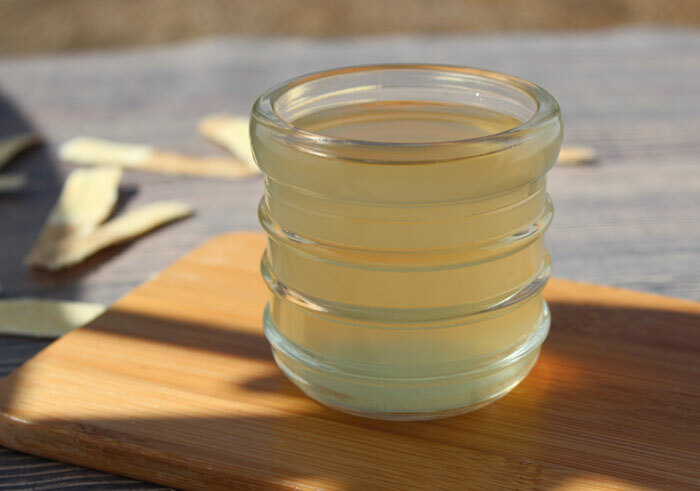 Again, astragalus benefits can only be activated and released when simmered in hot water, as an herbal brew or extract, or tinctured in an alcohol or glycerin solution. Try it in our energizing tea elixir recipe. When home brewing your own herbal teas, you can use astragalus with other tonic roots and herbs that are specific for your own health objectives. Keep in mind that seeking the advice of a qualified Chinese herbalist may be of great help in this regard. If you'd like to experiment with using astragalus as a straight tea decoction, it is good to simmer the roots for at least 30 minutes or longer (for a stronger tea). You can also reuse your herbs if you decoct them for shorter periods of time. 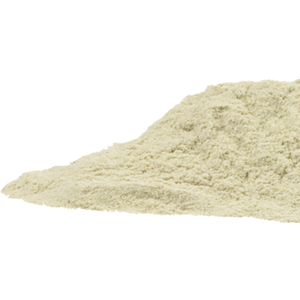 Ground astragalus powder may be a preferred option as it will require less cooking time. We like to simmer the whole root slices into soups, stews and even cooked grains and legumes. 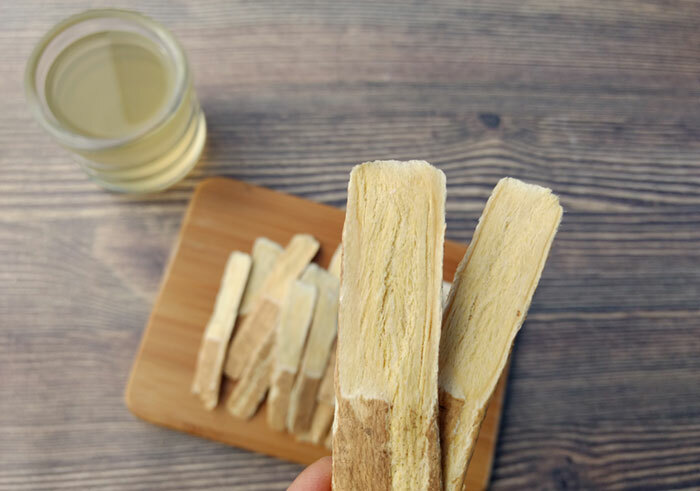 It is always necessary to discard the astragalus root at the end of the cooking time or tea brewing as its woody fiber is non-edible. 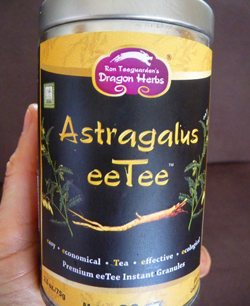 From our personal experience, consuming astragalus as a tea or extract can be quite instantaneously energizing. This quality, however, may depend on dose amount or on one’s personal constitution or health condition. As with most tonic herbs, astragalus benefits are likewise noted to have accumulative effects that build up over a period of routine use. While astragalus membranaceus root is considered a relatively safe herbal substance to use for extended periods of time, it is always best to consult your physician if you are pregnant, nursing, have a serious medical condition or are taking prescription medications. It should be avoided if you already have a cold, flu or fever.